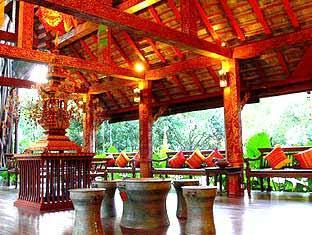 Yaang come Village boasts of Thai architectural buildings amidst verdant greens which shelter various exotic birds and squirrels. 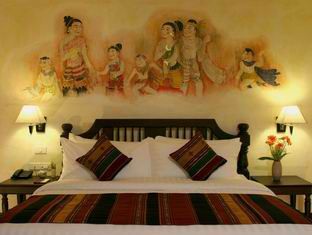 It is truly an oasis of beauty surrounded by an ever-increasing area of new high rise hotels The rich history, culture and magnificent sartorial style of the Thai people or Thai Lue played a major role behind the construction of the Yaang Come Village Hotel in Chiang Mai. The hotel embodies the charm and elegance of its picturesque surroundings. 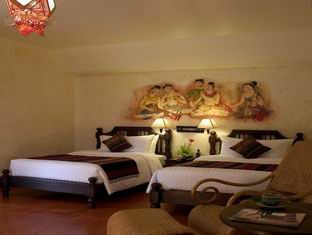 The traditional Lanna ambience engulfs you into a peaceful retreat. 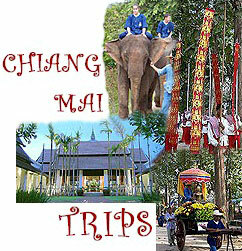 Guests are ushered in with warm and friendly hospitality. 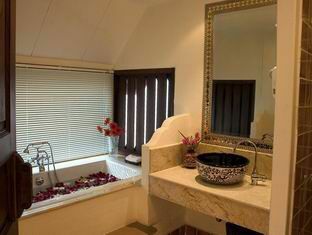 Exceptional accommodation facilities make a memorable stay for both business and leisure travelers. 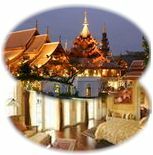 Rooms - Total of 42 rooms. 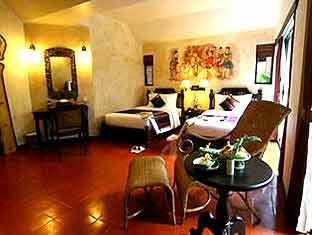 Superior rooms, deluxe rooms, family rooms, Junior suites. The Yangcome Village is located beside the Night Bazaar in a secluded location away from the main road and is walking distance to the Sunday Market, Night Bazaar, city restaurants, shopping and banks. 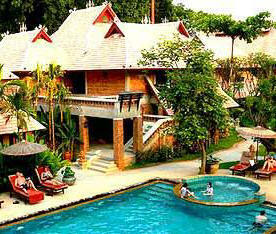 Rooms are arranged cottage style around a courtyard swimming pool. There is a large pleasant sala/lobby and plenty of shade trees. Rates include taxes as well as daily American Breakfast, available 0700-1000. Children under 10 yrs can stay free, if no extra bedding required - there is a charge for extra breakfast. Maximum of 2 children per room. NB There is some daytime building work going on behind the hotel but projected to finish end of 2008.